Maslow's second tier on his Hierarchy of Needs is safety and security. Being able to feel safe and secure is a primal need that we all face and that must be met before we can face other higher levels of need. You only need to walk down a dark alley at night or get into a car crash to know that when you feel unsafe nothing else matters. In that moment of lack of safety you are unable to think about anything else. That work meeting or that great new business idea is completely forgotten about as you try to bring yourself to safety. There are three types of safety that Maslow highlights: Physical safety, emotional safety, and financial safety. As the title suggests, physical safety refers to your body being safe where it is. 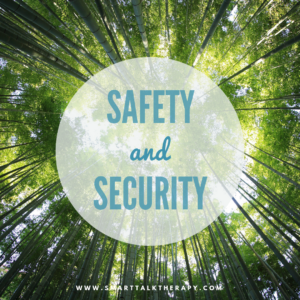 If you are not physically safe, that means that your life is in peril which will detract from your quality of life, your ability to think, and increase your stress hormone levels. There are basics for physical safety that include shelter, and other things but those are pretty much taken care off in today's society. However, there are still physical safety requirements that a self-actualized person needs to be able to accomplish to meet his/her safety needs. Combat competency - In today's society, we feel pretty safe meaning that we no longer expect to face physical violence on a daily basis. This in turn has made us unprepared for it should we ever have to face it. Be it a mugger, or someone wanting to cause you physical harm, most humans these days don't actually know how to protect themselves. A simple way to break this mold is to take self-protection classes or some kind of combat class. You don't need to turn yourself into Rocky, you just need to be able to protect yourself should the need ever arise. Insurance - In most countries these days people are required to have insurance (e.g. health insurance, car insurance, disaster insurance, renter's insurance, etc...). The reason for this is because knowing that you can survive a disaster is very important for people. Knowing that you have access to health care should you require it or knowing that if a fire burns down your house you have insurance to cover the expenses is a way to increase your own feelings of safety and security. It seems like a weird thing to bring up on a mental health blog but knowing that you are covered in the event of an emergency frees up that brain space and heart space that you need to be able to think and do bigger and better things. Independence - A financially independent person is someone who is able to make life style decisions based on what will help him/her achieve greatness rather than what will get him/her through the next round of bills. Being financially independent means that you are debt free, you don't have to rely on anyone else for your income, and that you don't have to stay at the negative job just to have to pay the bills. The biggest detractor from becoming financially independent is that it is the harder and less enjoyable road. It can be difficult to turn down vacations, or fun plans with others while you try to become financial independent. Saving money in the moment doesn't feel good but over time, as your debts decrease and as you become financially independent, you will star to feel freer and lighter. Education - Education about finances and how to make your money grow is a huge part of financial security. Most of us are never taught about how to manage money or how interest rates work, the stock market works, how mortgages work, and what influences credit scores. We have an elementary understanding of money. Educating yourself, via attending classes or reading books or watching youtube videos, is one of the biggest things that you can do to achieve financial security. Figuring out how money works and how you can invest it to work for you is a vital part of this process. Emergency Fund - Creating an emergency fund is the final step to financial security. Having money saved up in the bank to pay for that broken pipe or to pay for the new tire is a great way to create financial security. It gives you the peace of mind required to be able to focus on other things, greater things, while knowing that you will be covered should something unexpected happen. Toxicity - Some relationships are just toxic. Be it a romantic relationship, a family relationship, a friendship, or a relationship with a co-worker, some people are just not good for us and make us feel unsafe. Most of the time we know a toxic relationship is happening but we just can't seem to get ourselves out of it. Often times, we feel like we owe the other person something and so never end up leaving the relationship fully. Toxic people are very good at endearing themselves to us by saying things like "come on, we've been friends for so long and we shouldn't give up on it now". Toxic relationships usually acquire a quit-pro-quo interaction where you start to feel obligated to stay. A health relationship is one that is built on mutual trust, love, and respect. If you want to be able to have the energy and love to great something great, you have to let go of the toxic people who are bringing you down. Emotional Regulation - The next part for emotional safety is knowing how to identify and manage your own feelings. It can feel very overwhelming and scary when we can't identify and manage how we feel. Breaking out in tears at an office conference or loosing your temper with your child are all examples of people who are not managing their feelings well. The problem is that over the past decades, we have been taught that ignoring our feelings is managing them. The problem, of course, is that when you ignore your feelings, they tend to bubble up and you end up exploding. So, learning to actually identify them in the moment, manage our responses to them appropriately, and communicate them with those around us is the goal. Strong Relationships - The final piece to emotional safety is strong relationships. You can't just get rid of the toxic ones without add and building on the healthy ones because otherwise you will end up feeling alone. Being a part of a healthy community, be it a group of friends or family or neighbors, helps us feel safe and cared for. Knowing that we have the support of others allows us the freedom to pursue other life goals and empowers us to take the risks that are required without fear of being alone should they fail. A sense of community isn't required for survival, but it is required if we want to try new things and move forward with our lives. As you can see, there are three main elements to safety and security: physical, financial, and emotional. We need to be able to meet all three needs to be able to move onto the next tier in Maslow's Hierarchy of Needs. In the upcoming weeks we will continue to focus on Maslow's Hierarchy of Needs as we continue to ascend his pyramid of needs. If you are interested in learning more about this theory, then please feel free to purchase the book "Meet Maslow: How Understanding the Priorities of Those Around us can Lead to Harmony and Improvement" by Landon T. Smith. We have no affiliation with this book and simply think it's a great resource. It is the resource we have used in creating this blog. Where-ever you find yourself on Maslow's Hierarchy of Needs, we are here to help. We continue to accept new clients from New York, Florida, Hawaii, Illinois, California, and outside of the USA (Canada, Australia, New Zealand, England, Ireland, Scotland, Wales, Italy, United Kingdom, Germany, France, Spain, Mexico). Did you like this blog? To find out more about it's author, please click on the link to the right. Your content is excellent but with images and videos, this site could undeniably be one of the very best in its field. I located your web site from Google and I need to say it was a terrific locate.